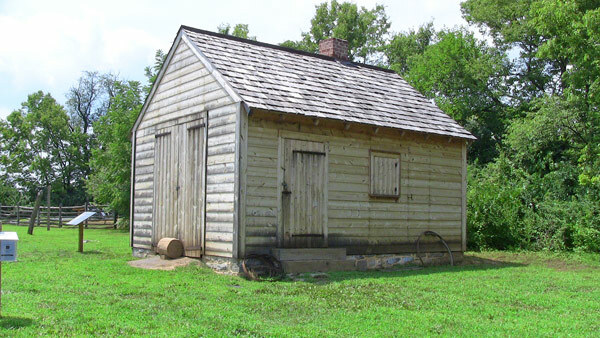 The 18th century forge on the Army Heritage Trail is a replica of the iron works forge built and maintained as part of the "Public Works of Carlisle." The hardworking blacksmiths at the forge created and repaired everything from nails used in buildings to swords, muskets, and cannon. In December of 1776, General George Washington appropriated funds from Congress to build the Public Works near Carlisle. The location near Philadelphia made the Public Works an ideal home for an arsenal and commissary to produce goods and ammunitions to supply the Continental Army. The forge was only one part of the larger Public Works. When the blacksmiths finished making the metal parts for a cannon carriage or repairing a musket part, the product was delivered to the other workshops. Mills bored cannons produced by nearby foundries while other workshops built everything from the carriages which held the cannon and the shot the cannon fired, to the wooden parts of smaller weapons and barrels. The Works even held massive amounts of gun powder, food, and other supplies, making Carlisle one of the centers of American military support. The forge on the Trail is a small-scaled representation of the forges used in the Public Works. 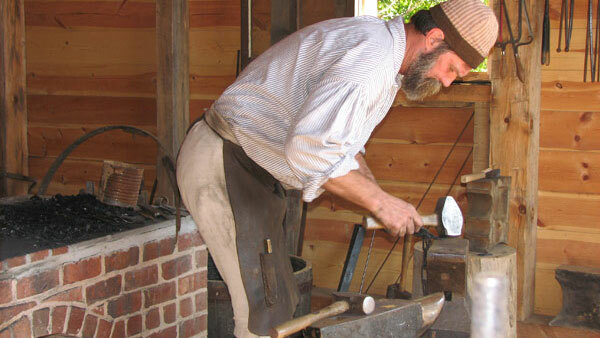 The forge is completely operational and can be seen in action during any of our living history events. The bellows featured in the forge is a working copy of an original bellows from the Public Works, dated to 1775. The original can still be seen in the USAHEC Artifact Collection. The bellows, made of wood and leather, forced air into the stone and brick furnace to superheat charcoal fuel. 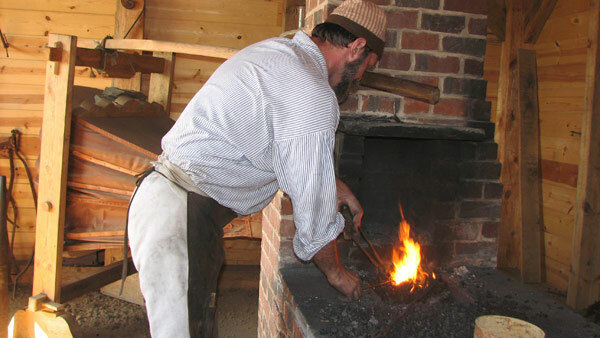 Metal placed in the inferno quickly became malleable, allowing the blacksmith to shape it into whatever weapons or tools the American revolutionaries needed. Metal placed in the inferno quickly became malleable, allowing the blacksmith to shape it into whatever weapons or tools the American revolutionaries needed. The bellows, made of wood and leather, forced air into the stone and brick furnace to superheat charcoal and wood.